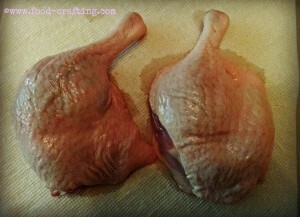 Braised Duck Legs Recipe – I’m sharing what I consider to be the best cooking method to extract the most flavor from duck. Titled Brome Lake Duck, this post was originally published in August of 2015. My intent this March day was to write an ode to the newest fad in the dairy aisle – European style butter. Perhaps this novelty was not so new but let’s say that I had just noticed it. Even Land O’Lakes® offered butter packed in a very attractive box with a black on black paisley pattern . Then I remembered the two duck leg quarters in the fridge waiting for a recipe. 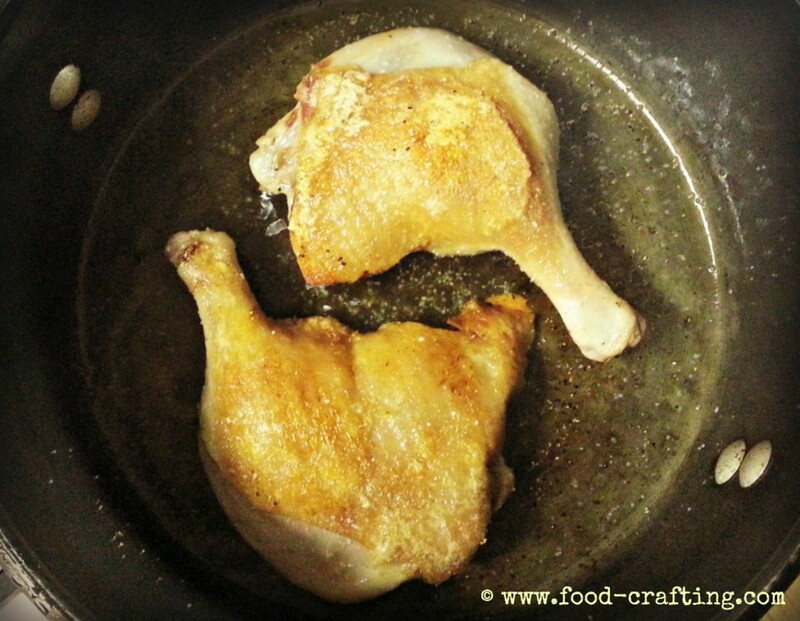 Leg quarters are perfect when it comes to preparing the tastiest braised duck legs recipe. 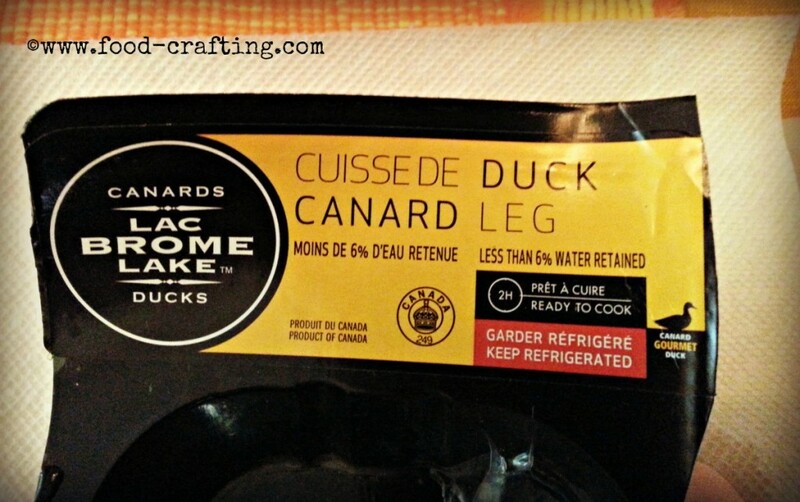 This is not just any fowl but Canard du lac Brome (in French) aka Brome Lake duck. For a grand total of $5.50, it was going to be a relatively economical meal for a gourmet meat. In a hurry to find duck meat? ===> Click HERE to select from the best brands. Lac Brome is located in the southern part of Quebec situated just north of the Vermont state line. Tourists are attracted by the beautiful lake side vacation cabins but the area is also known for its “naturally-raised” Pekin ducks! Pekin not Peking. A Pekin is a breed of duck also known as the Long Island variety. Their meat is plump and juicy. Not only is the meat from Brome Lake ducks rich in nutrients but their fat (duck has a bad rep for being incredibly fatty and it can be) is lower in saturated fats compared to other animal fat. 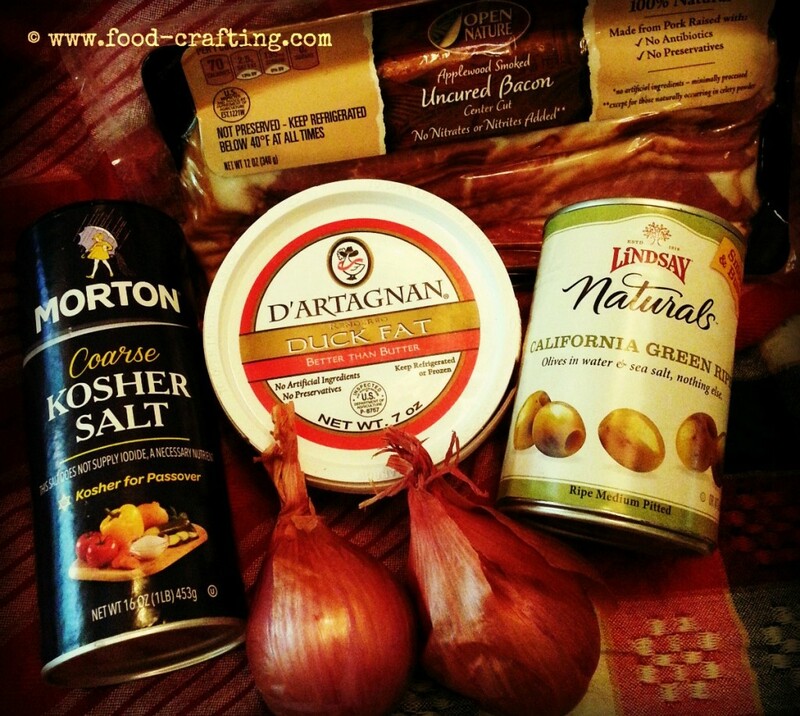 Some might not sign the praises of duck fat but it is a big plus for those of us who watch that cholesterol number. Speaking of fat, you owe it to yourself to try pan fried potatoes using duck fat. It has a high smoke point and gives the potato a certain je ne sais quoi flavor! 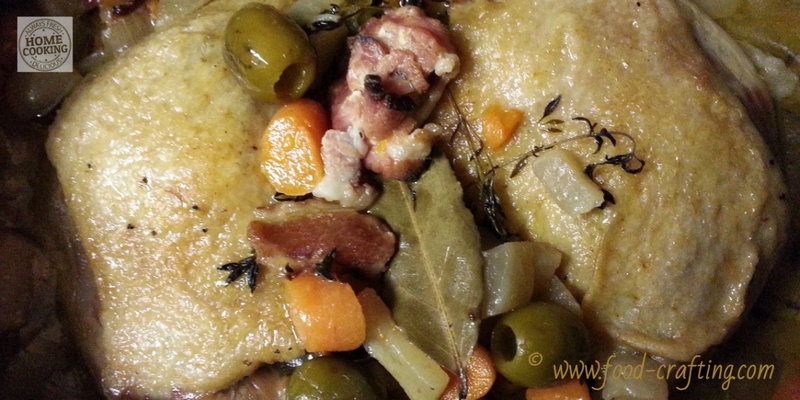 This braised duck legs recipe was prepared the day before it was to be served. I nearly always do this with braised dishes. You know what I mean – the food tastes better the next day. Another recipe that benefits from being made a day ahead is my Cassoulet recipe. it is much easier to remove any fat from the cooking liquid. What remains is a very rich sauce to spoon over fork tender meat. 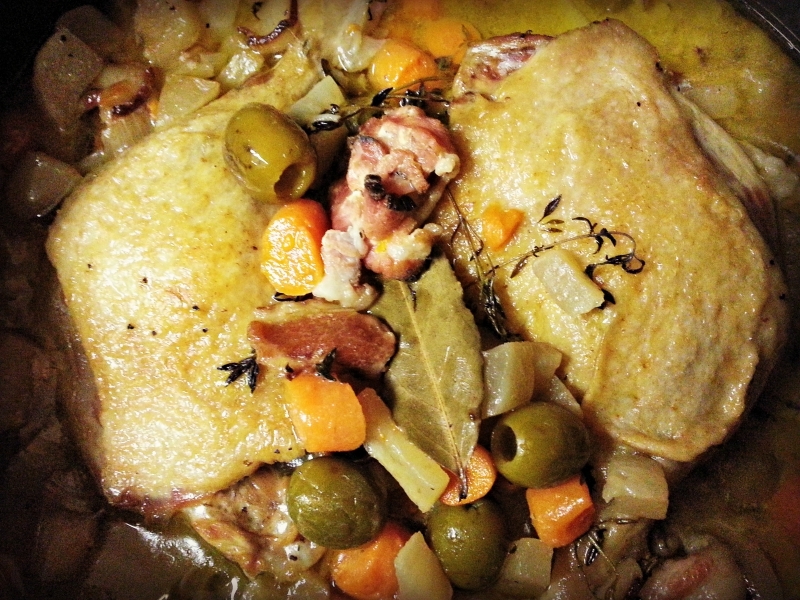 While my braised duck recipe is adapted from a recipe for duck with olives, I used ingredients I found on the pantry shelves. The result? The bacon I used probably did not have an intense smokey flavor needed and the olives were not briny enough. The label described them as “buttery” – the kind you can pop in your mouth like candy. Indeed, they were. 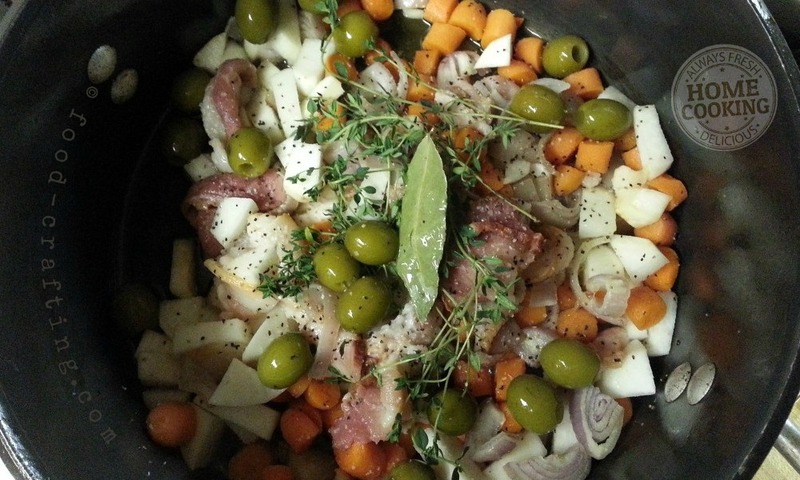 Neither the bacon or the olives produced a sharp contrast in flavors against the sweet carrots and bland turnips. 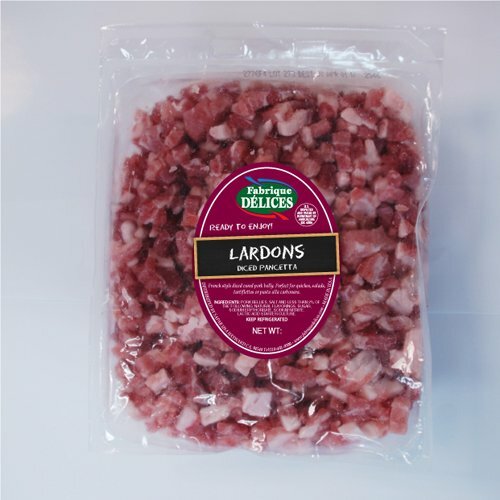 Diced pancetta would work just as well as Applewood smoked bacon of any brand name. 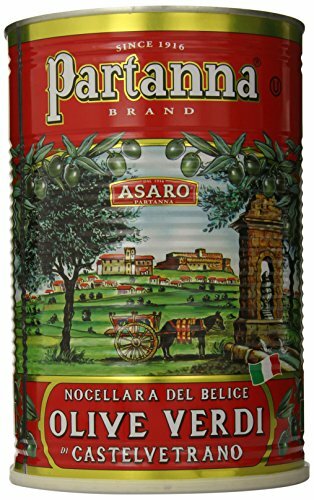 The only thing that gave away the olives was their shape! That is not to say this braised duck legs recipe prepared with Brome Lake duck did not act as perfect comfort food on a rain soaked August evening. 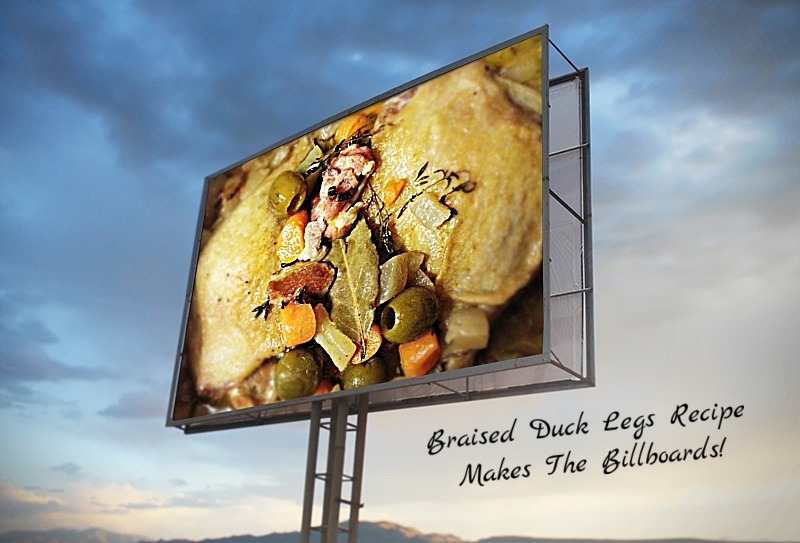 I love duck… in any recipe. My only comment is that I could have done better in the overall intense flavor category. This recipe is going in the “make it again” column with emphasis on the home style tweaking. Need comfort food this weekend? 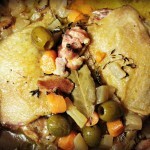 Plan ahead but leg quarters are perfect when it comes to preparing the tastiest braised duck legs recipe. Dry the duck on paper towels. 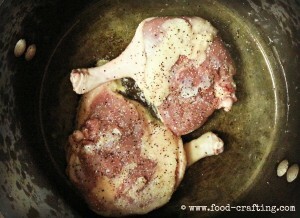 Over medium high heat, fry the duck legs in the duck fat, skin side down until golden brown. 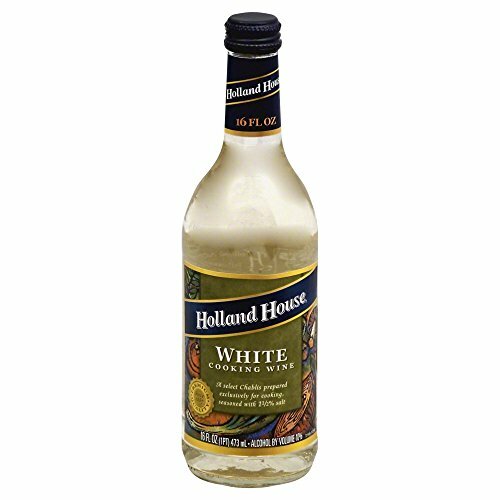 Season to taste with salt and freshly cracked pepper. Turn to fry on the other side until it is also golden brown. Set aside. Remove excess fat from the pan and add the chopped carrots, turnips and sliced shallots. Sauté until the vegetables take on some color along the edges. Sprinkle with the fresh thyme. Top with the duck legs. Season the meat again to taste. Add chicken broth, water, white wine, bay leaf and olives to the pan. Cover and simmer on low heat for about 2 hours. Cool and place the meat in a deep Pyrex dish. Remove the vegetables with a strainer type ladle and place around the meat. Strain the cooking liquid to remove all bits of herbs and pepper. Pour the liquid over the meat to cover completely. This will allow the fat to form a single, even layer at the top that can easily be removed the next day. Knorr® contains 750 mg. of sodium. Adjust seasonings accordingly. Before serving, remove the layer of fat and heat over low heat until ready to serve. Close to thirty years ago, I started a collection of commercial quality Calphalon® hard anodized cookware. 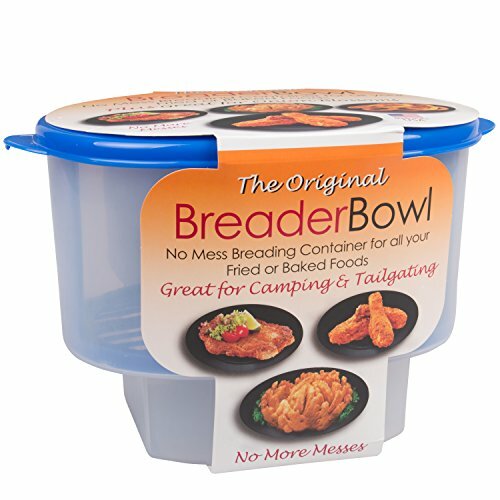 It was available at prices I just could not pass up and was designed to gradually replace the vintage Revere Ware® collection I started with in 1970. Many of the pieces have served me well but guess what… they have become extremely heavy to handle – especially when full. But they are not about to become “used”. The entire collection is of hand-me-down quality so if you find one at a great price, grab it. You will use it over and over again. As I mentioned above, my version of the original recipe needs tweaking but here are some of the ingredients I used to make this recipe. Calphalon 6-qt. 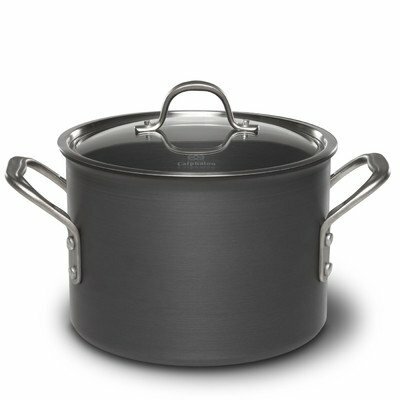 Commercial Hard-Anodized Stockpot. When preparing a braised duck legs recipe or any recipe calling for duck fat, compare the smoke point of duck fat versus other cooking fats. 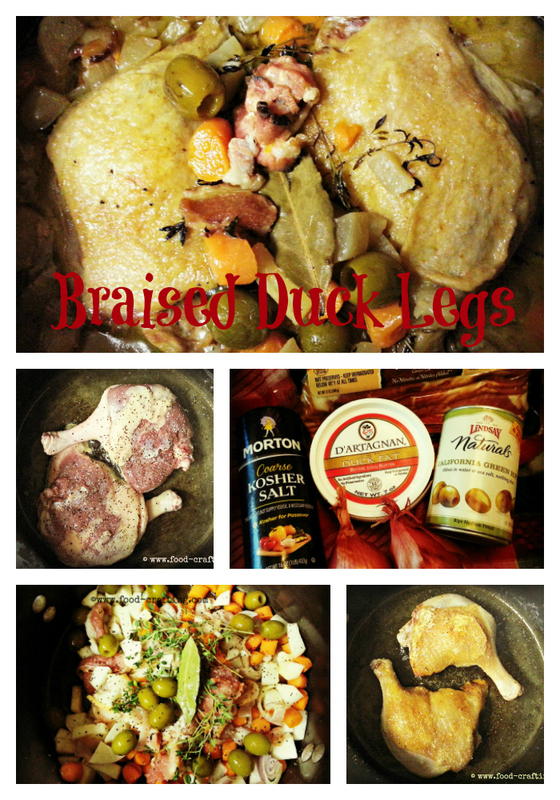 1 Fresh Duck Legs Quarters! 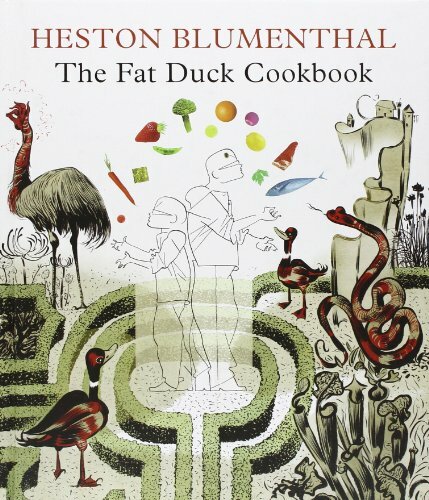 2 Ode To Duck Fat!